You’ve got to be kidding! Pollyanna shows us how? Well… Yes. 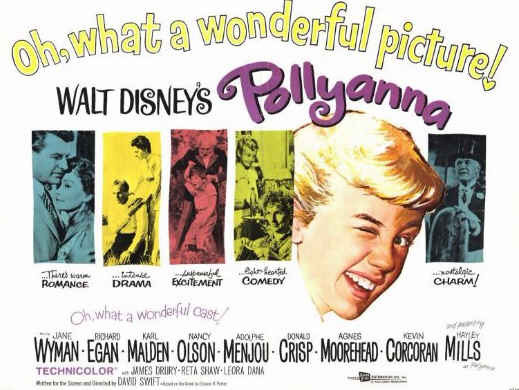 Walt Disney’s 1960 production of Eleanor Porter’s classic novel for children entitled Pollyanna might seem an unlikely source for hope and faith amidst this crooked and perverse generation. But Lo and Behold: PZ’s Podcast this week gives you Pollyanna! When you actually see this movie, as an adult, it is a little miracle of a contribution to our project of giving people bread rather than a stone. It tells the story of an orphaned girl, the child of missionaries, who gets parked with a rich spinster aunt in the town of Harrington, New Hampshire in the year 1912. 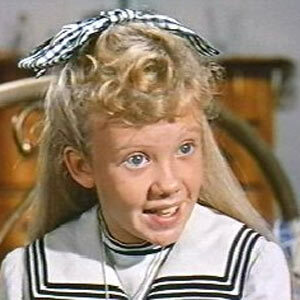 Holding for dear life onto her one tangible anchor, the locket her father gave her before he died, Pollyanna, played non-meretriciously and with complete spontaneous conviction by Hayley Mills, has to engage with the citizens of a resentful, divided town. Pollyanna’s world is peopled with characters such as Mrs. Snow, a hypochondriac widow who terrorizes her spinster daughter and is overwhelmingly self-involved and obnoxiously demanding; Mr. Prendergast, a recluse with money who lives entirely in his head and talks to himself non-stop; ‘Reverend Ford’ (in the book he is more properly called ‘Mr. Ford’), the pastor of the town, who is incorrigibly angry with his congregation because they do not respond to his hortatory sermons; and Pollyanna’s own Aunt Polly (Harrington), who is competent, realistic (after a fashion), slightly imperious, and definitely frosty — but, we come to find out, painfully frustrated in affairs of the heart. Into this combative little world comes Pollyanna with her ‘Glad Game’. You’ve probably heard about this, but may not have actually seen the movie. The idea is that when a bad thing happens, you turn it around by thinking of what you can be glad about from it. For example, when Pollyanna wished for a doll to be sent her in the ‘missionary barrels’, and a pair of crutches was bizarrely delivered instead, her father taught her to be glad, nevertheless, because “she didn’t need the crutches”. This is Pollyanna’s trick, you might say. Oddly, to us realists of the Twenty-First Century, Pollyanna’s game works! To the degree that this little girl discerns gold among the dross, the gold shines — the gold comes out! Mrs. Snow, played by Agnes Moorhead, begins to want to live. Mr. Prendergast, played by Adolphe Menjou, begins to appreciate refracted light — you’ll see how, and why — and children. Reverend Ford starts to like his congregation again, and repents of his anger and self-righteousness. Even self-realized, iced-over Aunt Polly begins to thaw. Pollyanna is a movie and a work about imputation. It shows, vividly, tastefully, convincingly, even realistically, how imputation works. Pollyanna brings out the good in people because she creates it. Her “Glad Game”, which is a concrete personal form of imputing love, creates what it sees. I hope Episode 18 will make you want to see David Swift’s (and Walt Disney’s) perceptive and universal portrayal of grace in practice. To listen click here. To subscribe, here.